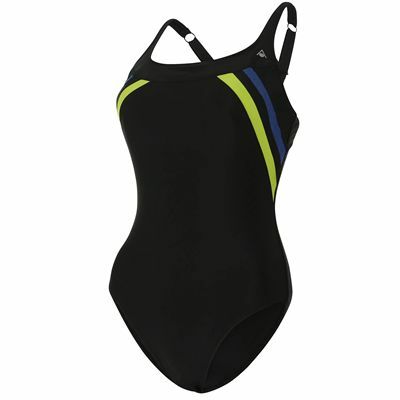 The Aqua Sphere Siena ladies swimsuit offers a combination of sporty design and a comfortable fit and has been made specifically for active swimmers. It features a round neckline and high back coverage for more confidence while swimming and the padded foam cups ensure improved bust support. The Siena has a feminine body shape back, as well as adjustable straps and a medium leg height for added comfort in the water. for submitting product information about Aqua Sphere Siena Ladies Swimsuit We aim to answer all questions within 2-3 days. for submitting product information about Aqua Sphere Siena Ladies Swimsuit. We aim to answer all questions within 2-3 days. If you provided your name and email address, we will email you as soon as the answer is published. for submitting product review about Aqua Sphere Siena Ladies Swimsuit.